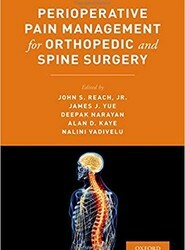 Perioperative Pain Management for Orthopedic and Spine Surgery offers a concise yet comprehensive overview of the surgical spine pain management field to help practitioners effectively plan and enhance perioperative pain control. 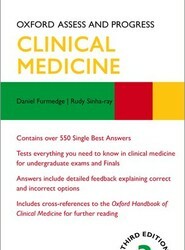 Chapters provide guidance on solving common dilemmas facing surgeons who are managing patients with pain related problems and clinical decision-making, and explore essential topics required for the trainee and practitioner to quickly assess the patient with pain, to diagnose pain and painful conditions, determine the feasibility and safety of surgical procedure needed, and arrange for advanced pain management consults and care if needed. 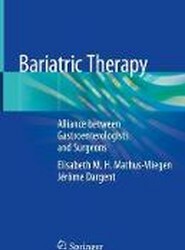 This book aims to deepen collaboration between gastroenterologists and surgeons by providing endoscopists and gastroenterologists with a clear understanding of the anatomic alterations likely to be observed after bariatric surgery and acquainting bariatric surgeons with the possibilities offered by endoscopic treatment of obesity itself and of the complications associated with bariatric surgery. 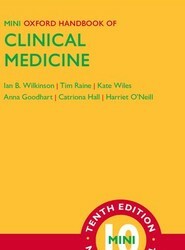 Updated with many of the latest techniques, this second edition continues the focus on procedures that is the hallmark of the Master Techniques in General Surgery series. 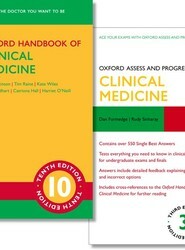 You’ll find plainly written details on some of the most common procedures, as well as relevant information on anatomy, patient outcomes to expect, required instruments, and more. Lavishly illustrated with original full-color drawings, the book is your go-to source for easy-to-follow and step-by-step procedural instructions! Written by residents for residents and medical students, Handbook of Pediatric Surgery is a pocket-sized resource filled with must-know information for the pediatric surgery rotation. In a concise, easy-to-reference format, it covers management of the pediatric surgical patient, pediatric trauma surgery, common pediatric surgical problems, and pediatric surgical oncology.